I find it hard to create a travel bucket list without listing every single city, country and continent in the world because there are so many places I would LOVE to explore. I think it goes without saying, travelling is something that brings so many experiences that you almost can’t explain – and it’s addictive. The travel bug is real. Once you’ve experience a little, you want more. I thought it would be nice to share where some of my dream travel destinations are and hopefully I can look back and check at least few off of the list! These aren’t in any particular order! Paris – I feel like I’m missing out because so many people are shocked when I say I’ve never been. So there it goes, on my bucket list. Mainly to see what all the hype is about haha – however it does look like a beautiful city! Krakow – The amount of times I’ve went to book flights and accommodation here but then cancelled is sad. I need to go here soon! I mean, just google the city and you’ll see why! Berlin – I’m currently living in Hannover, which is only a short journey from Berlin. So if by the time I finish my study abroad and I’ve not checked this off then I’m doing something seriously wrong! Copenhagen – I’ve never been to Denmark, and I loooove the buildings and architecture here. Amsterdam – Again, Hannover isn’t actually too far from Amsterdam so I’m hoping to go here soon! Canada – & more specifically, Canada’s winter time! Australia – What’s a travel bucket list without Australia being there eh? Stockholm – I’ve never been to Sweden either. Basically I want to travel Europe haha! Italy – I don’t care where, just someone take me to Italy please haha! Ok, I’m getting carried away! But these are places on my top. 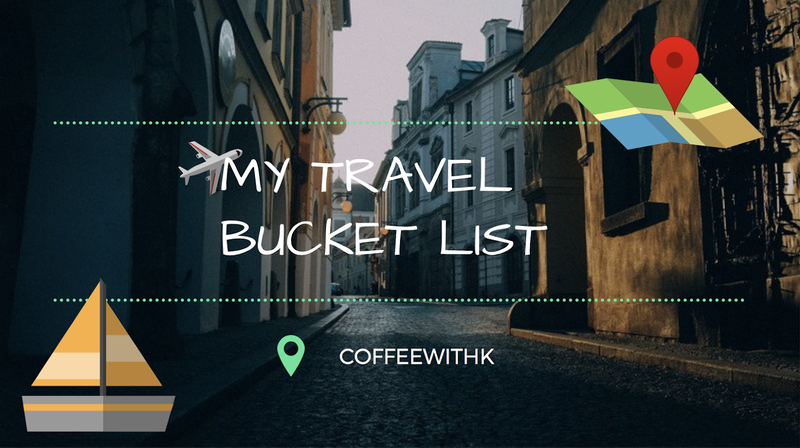 Let me know your travel bucket list or what your favourite place you’ve travelled to is!